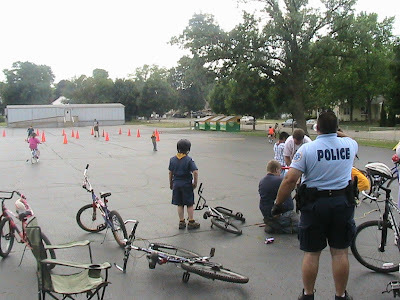 Here's the Officer that came for our Bike Rodeo. 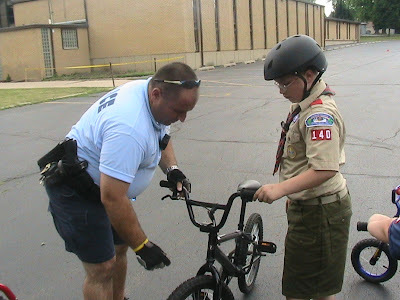 He was very good with the boys, and taught them all about bike safety. It was pretty neat. 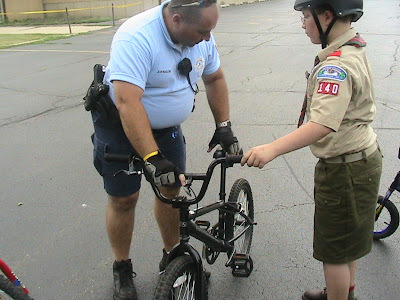 Here, he's doing a bike inspection for the boys. 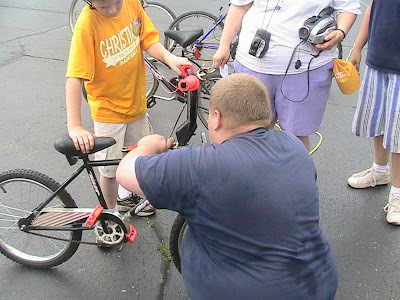 First we wrote down descriptions of their bikes with the serial numbers and gave it to the moms, then he went around and checked the bikes, telling what needed to be fixed. 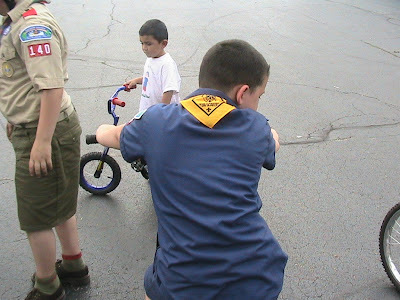 Seats, tire pressure, if the rims were bent, etc. It was pretty neat for the boys.